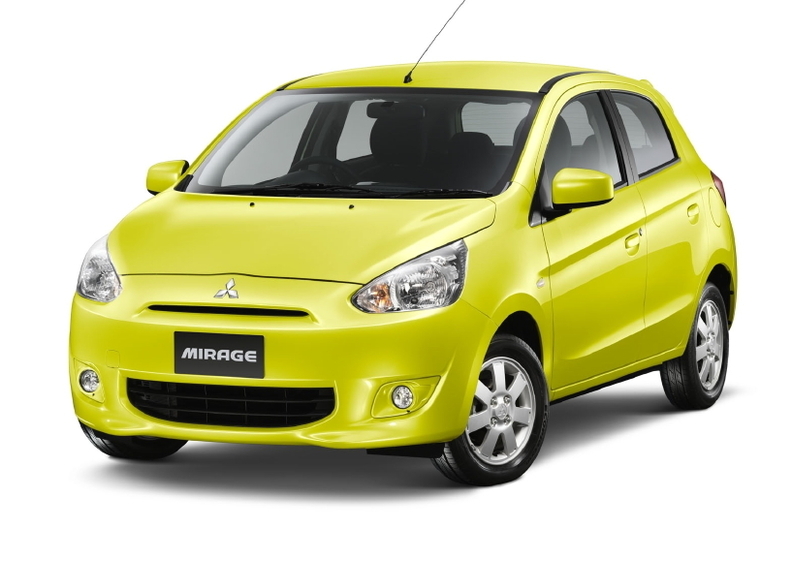 Mitsubishi hasn't decided on the name it will use in Europe for its new subcompact (shown), which will be called the Mirage in other markets. Correction: Mitsubishi's new subcompact is shorter and narrower than Colt. A previous version of this story provided the wrong size comparisons. Mitsubishi Motors unveiled its new subcompact for Europe at the Bangkok auto show today. In Europe, the car will replace the slow-selling Colt that is currently made at Mitsubishi's plant in Born, Netherlands. Mitsubishi will end production at the Born plant this year and rely on its low-cost factory in Laem Chabang, Thailand, to provide a competitor in the subcompact segment, Europe's largest segment by volume. The aging Colt's sales declined 14 percent to 31,263 units last year, according to market researcher JATO Dynamics. The subcompact will be called the Mirage outside of Europe. Mitsubishi has not disclosed the name it will use for the car in Europe, where it will go on sale in early 2013. The Mirage is 3700mm long and 1650mm wide, which makes its 18mm shorter and 45mm narrower than the Colt. The reduction in size and the extensive use of high-tensile steel help make the subcompact 7 percent lighter than the Colt, Mitsubishi said. The subcompact is powered by a 1.2-liter gasoline engine that provides European fuel economy of 5 liters per 100km, the automaker said.